Dimensions 0.50 by 6.50 by 9.75 in. Amazon.com description: Product Description: The book is a guide to Network admins who are interested in extracting full potential of FreeBSD. Security-one of everlasting concerns in the IT industry-can be tackled very effectively in FreeBSD. How do you do it? Read the book and find out. You can then move on to learn intricacies of FreeBSD. Just tweak a few parameters to make the network suit your environment. This book is for Network Administrators who would like to work with FreeBSD and are looking for skills beyond installation and configuration of FreeBSD. 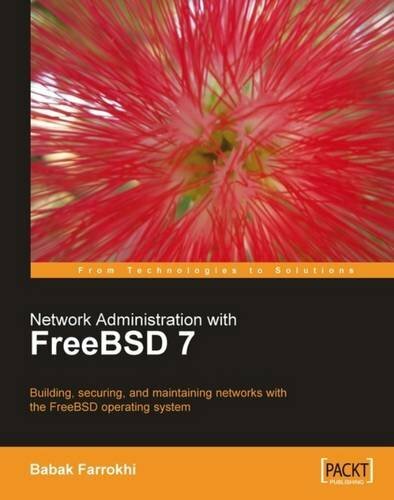 About: The book is a guide to Network admins who are interested in extracting full potential of FreeBSD.